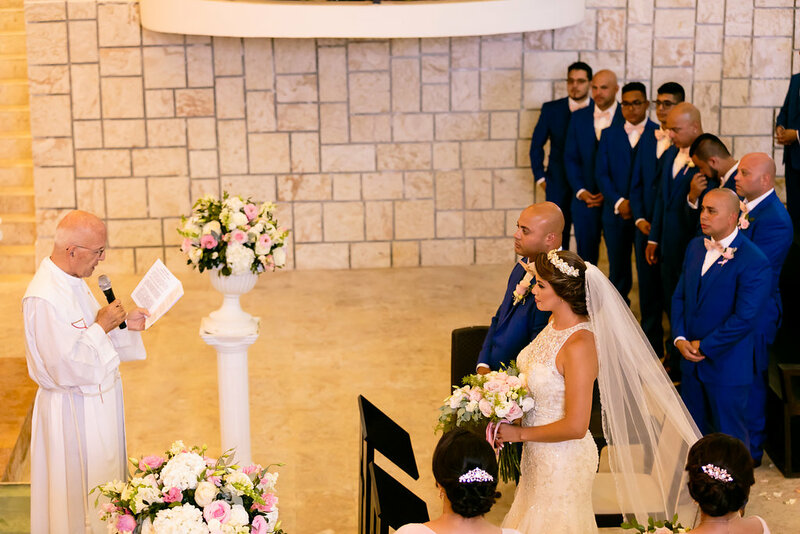 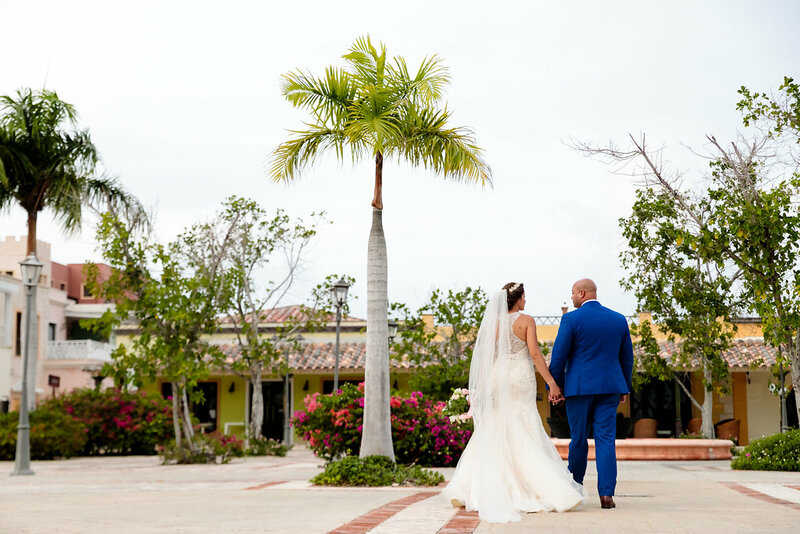 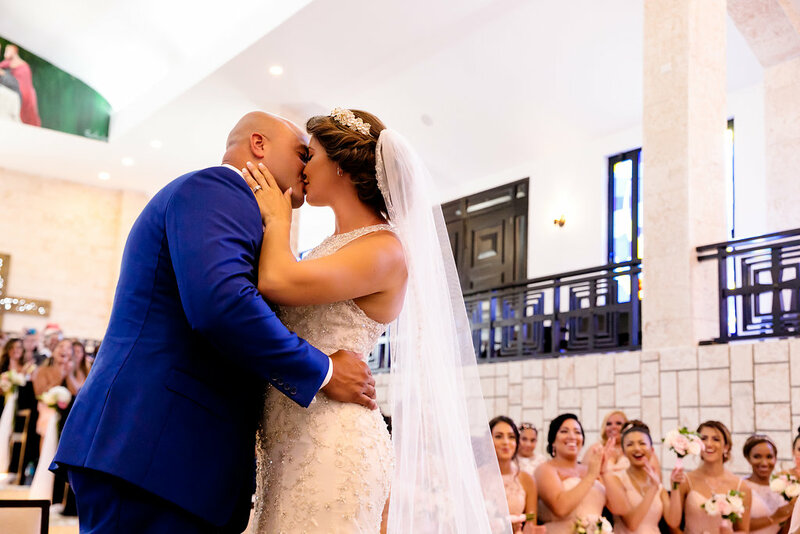 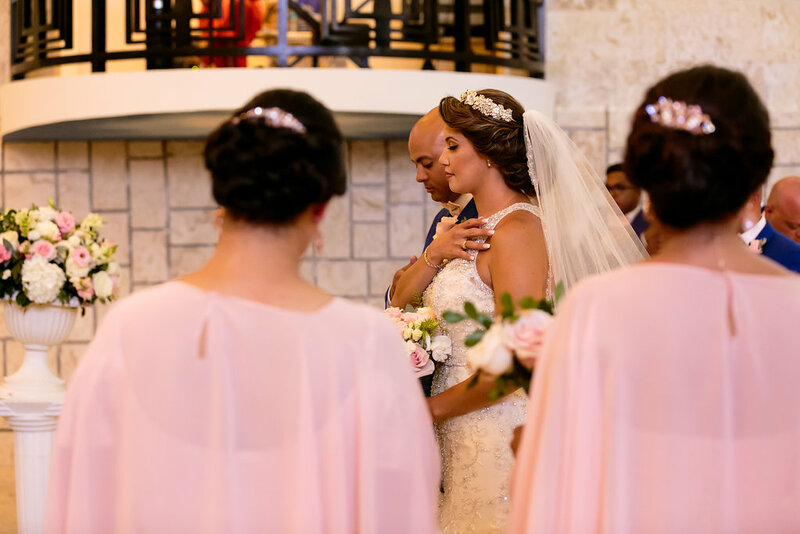 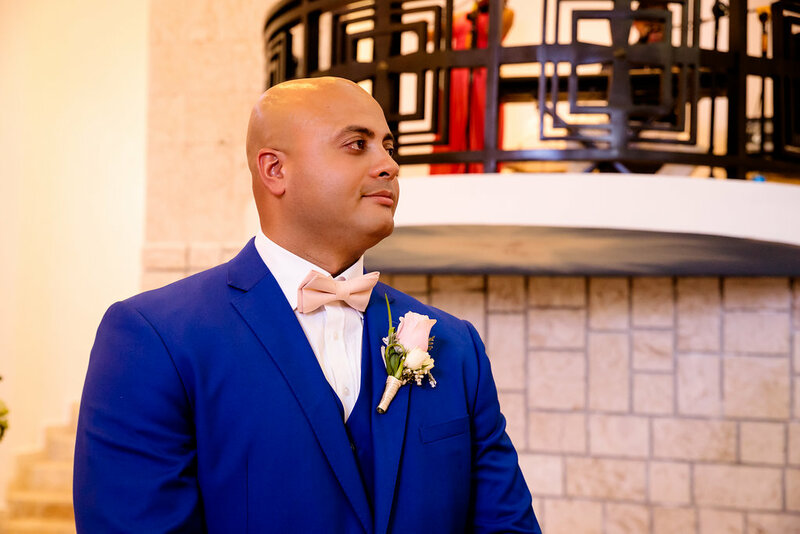 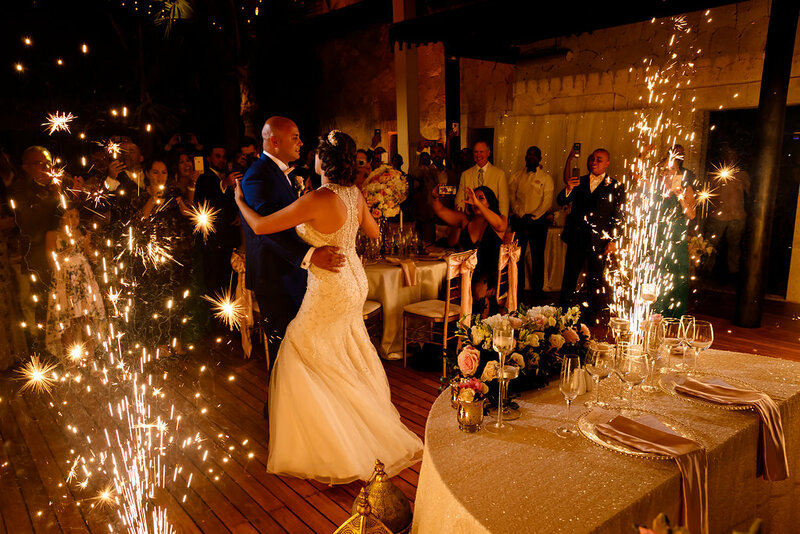 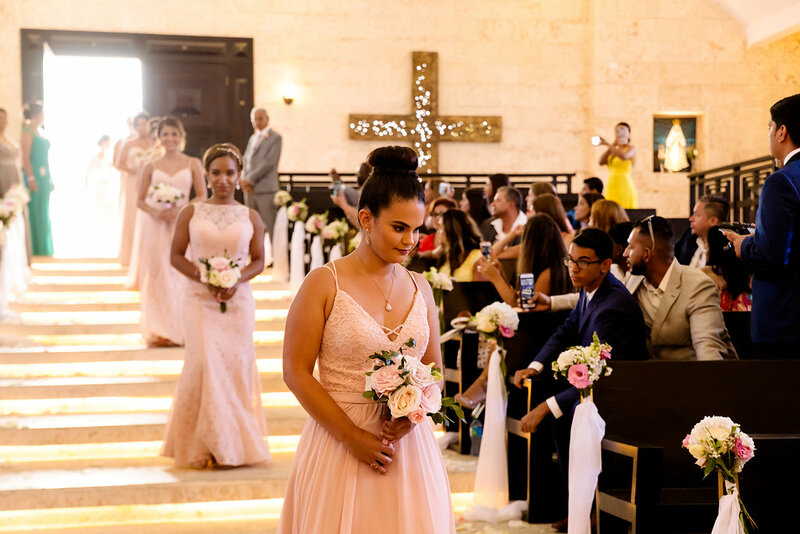 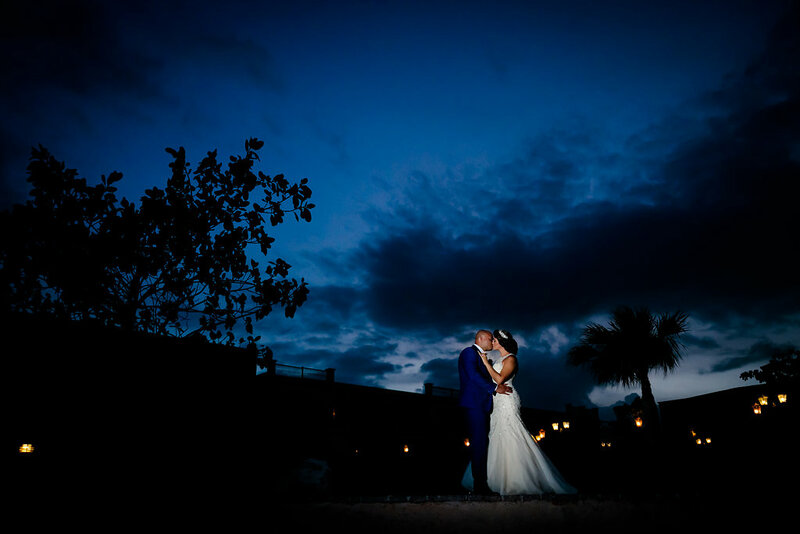 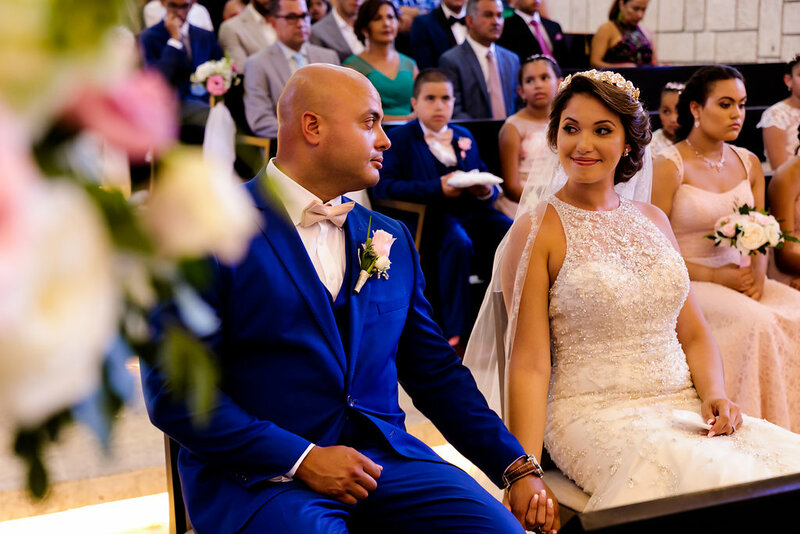 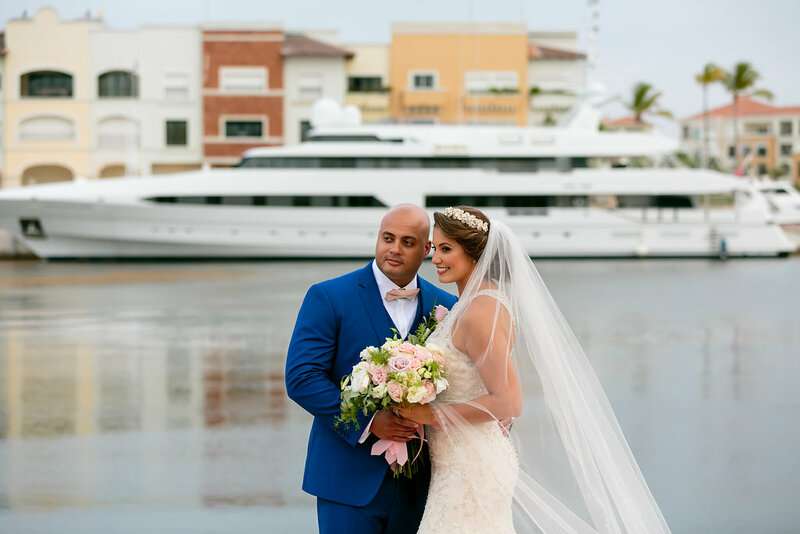 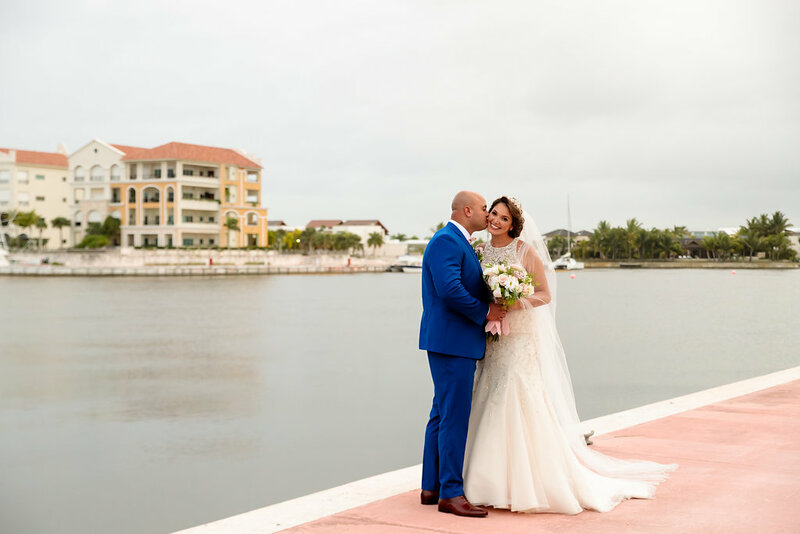 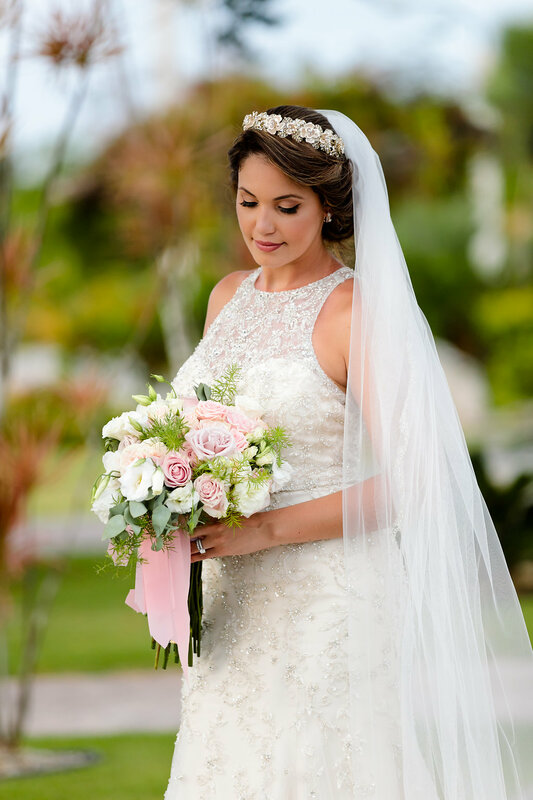 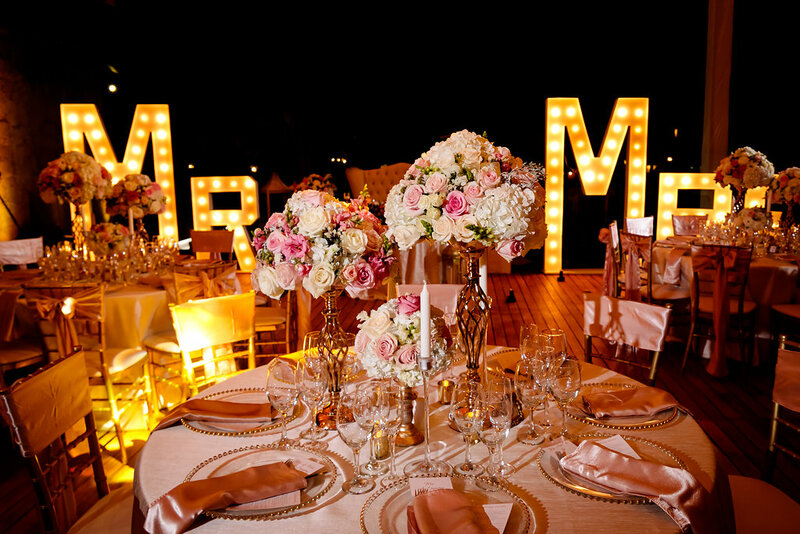 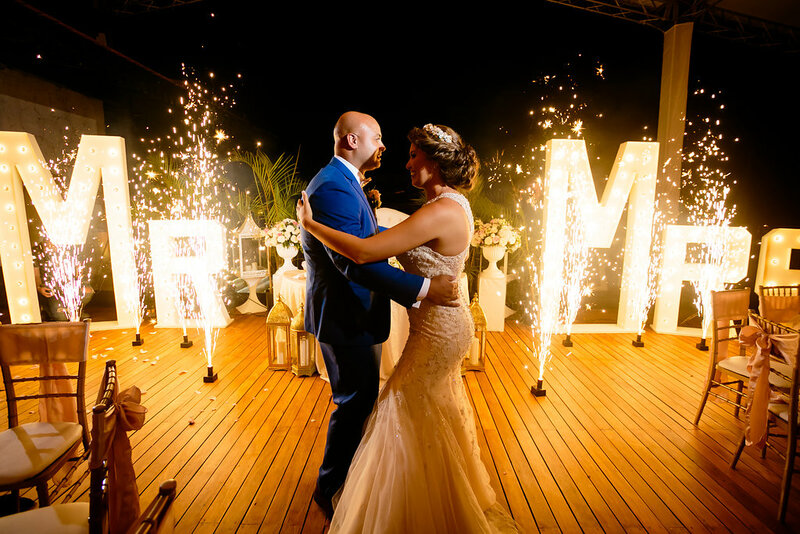 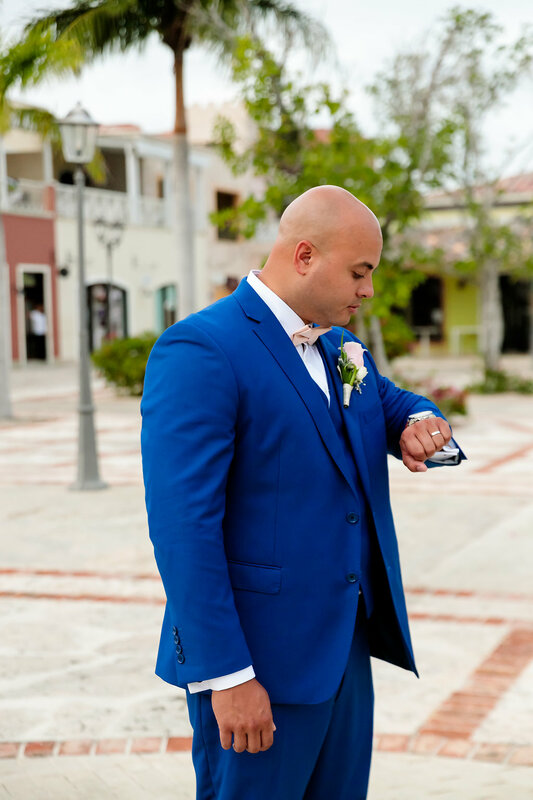 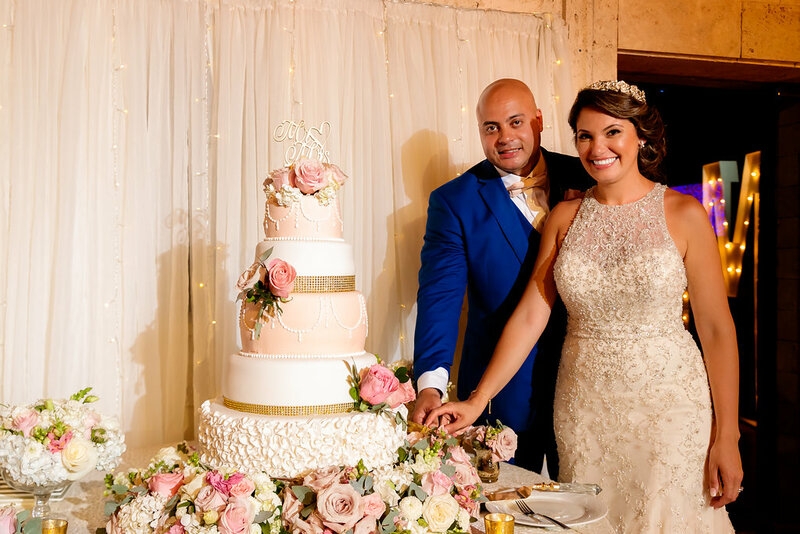 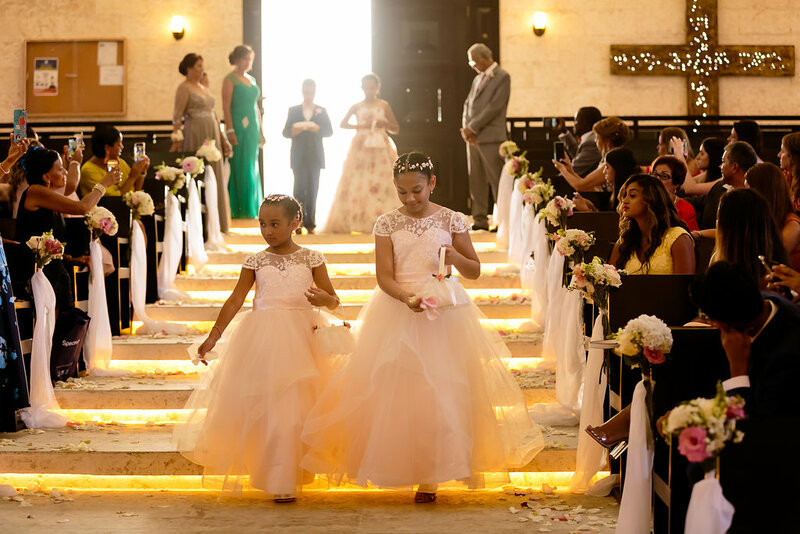 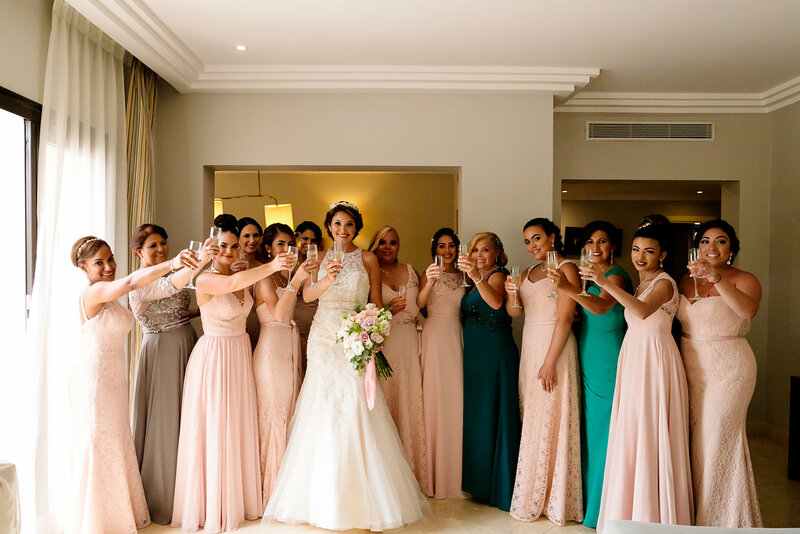 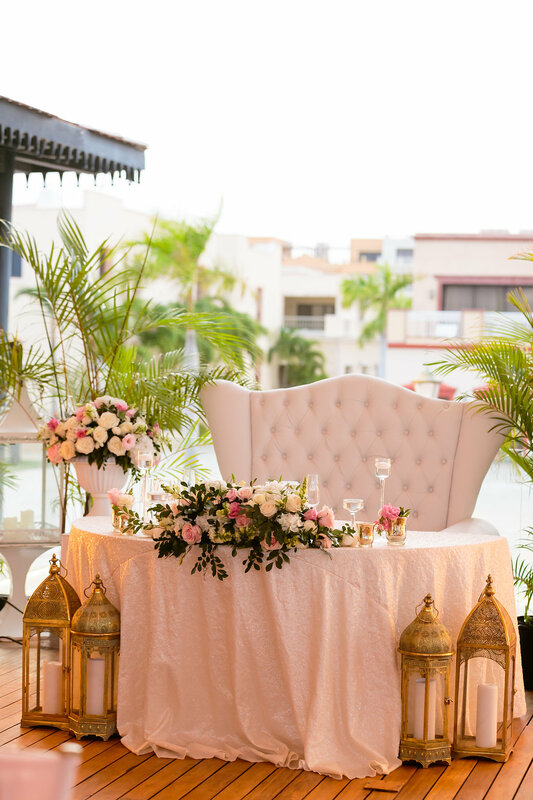 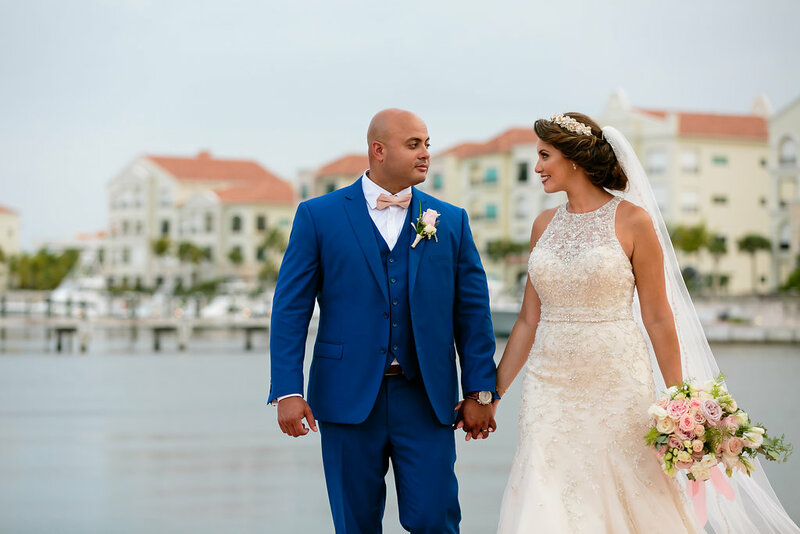 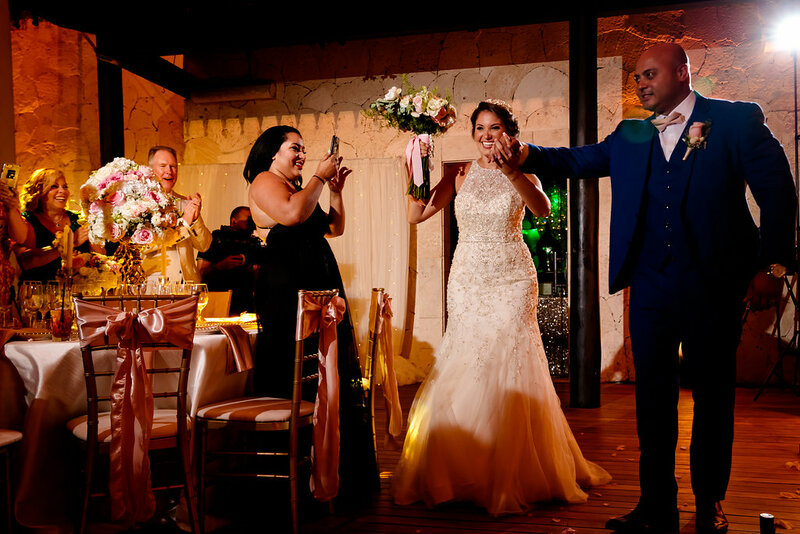 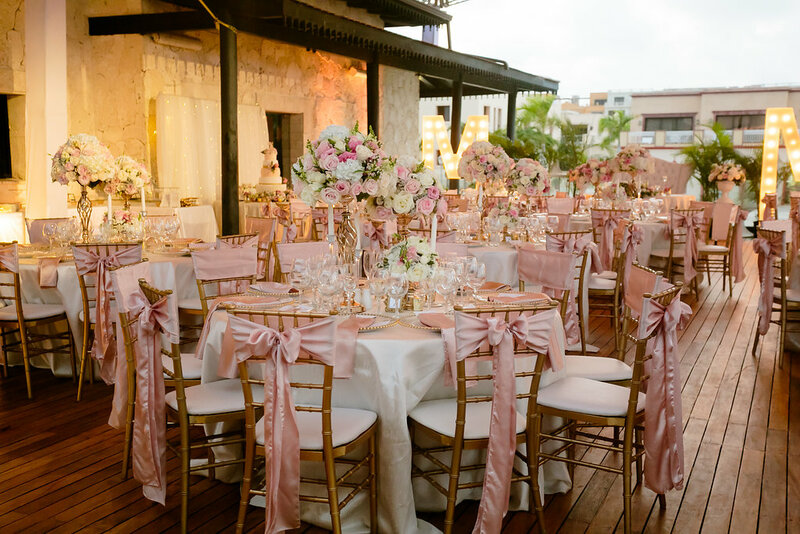 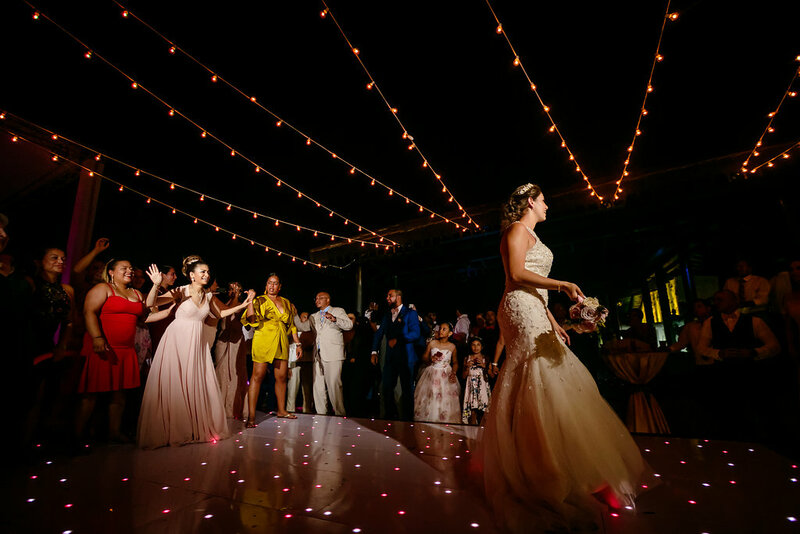 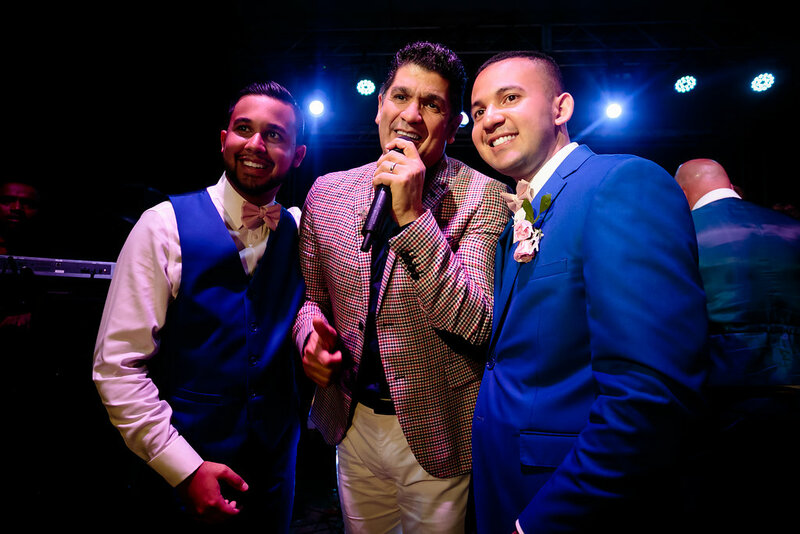 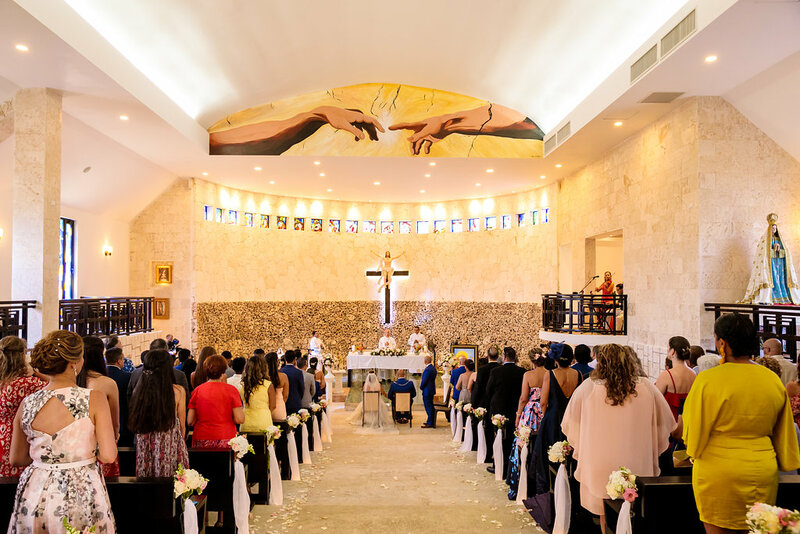 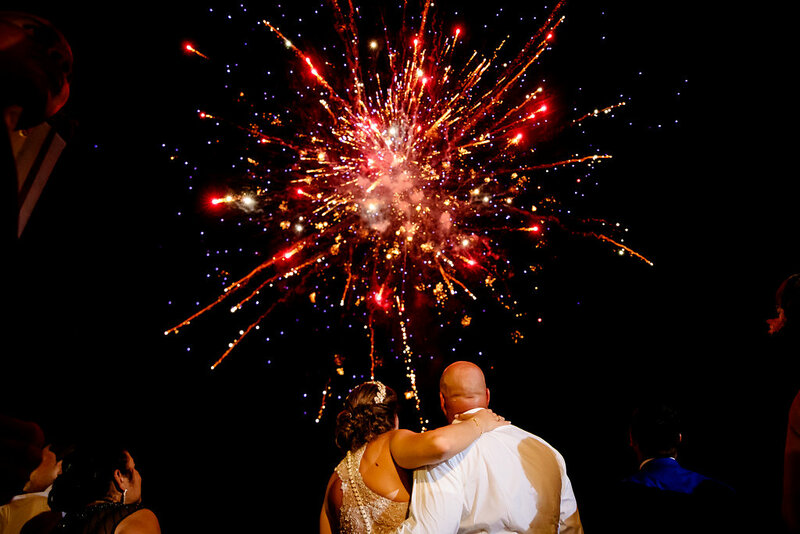 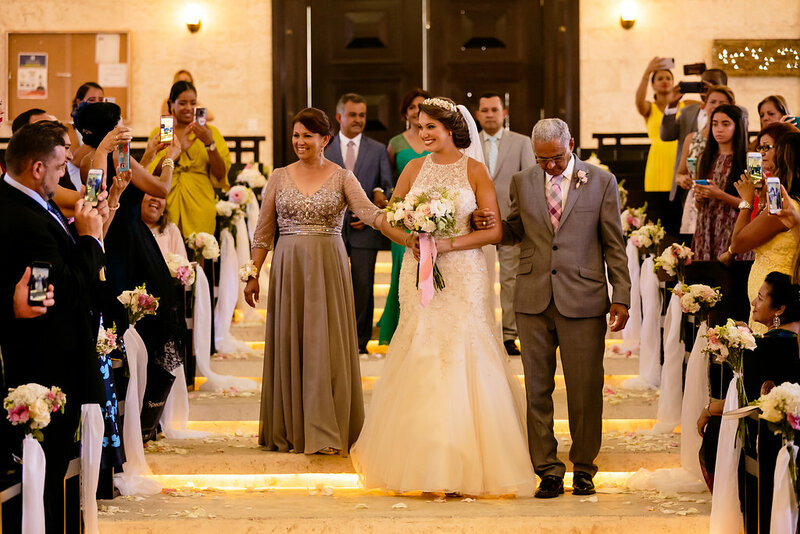 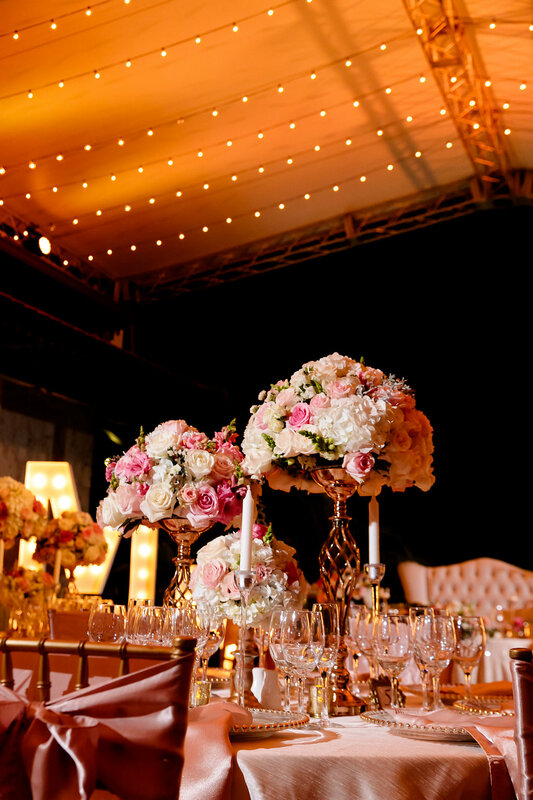 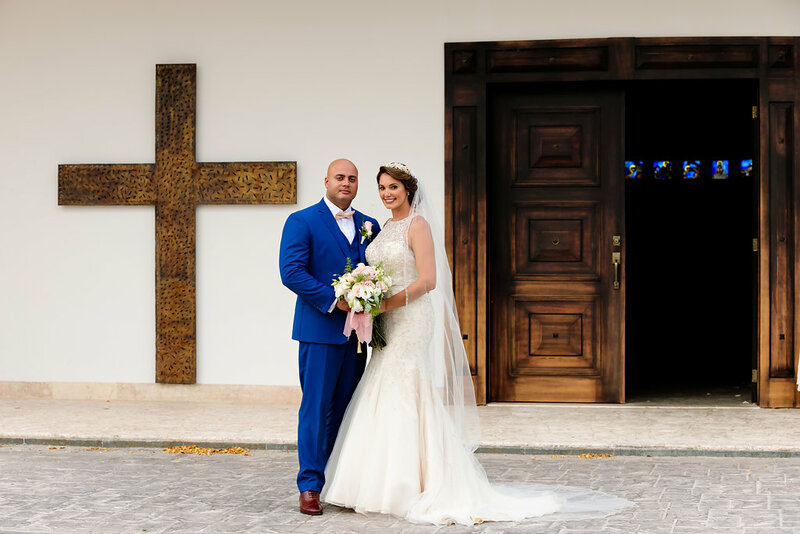 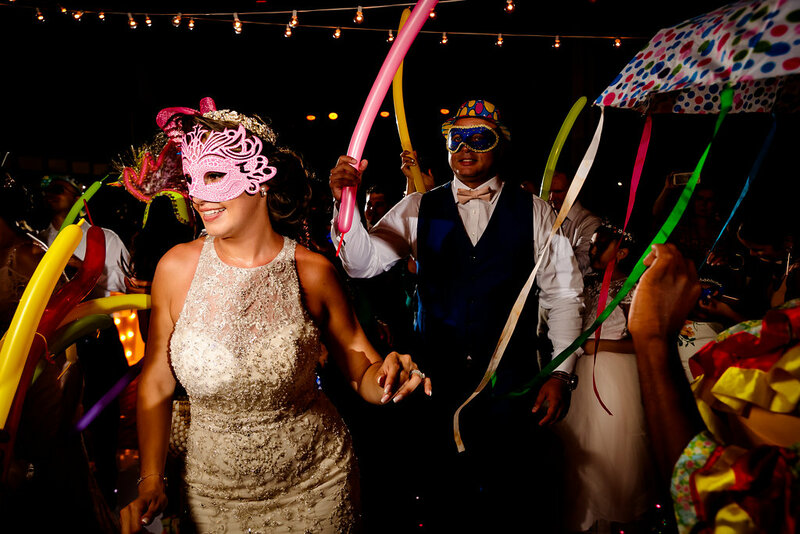 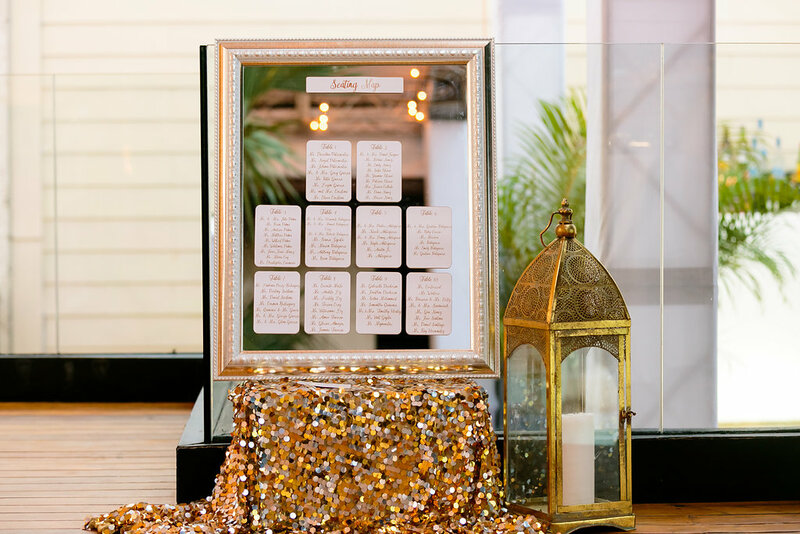 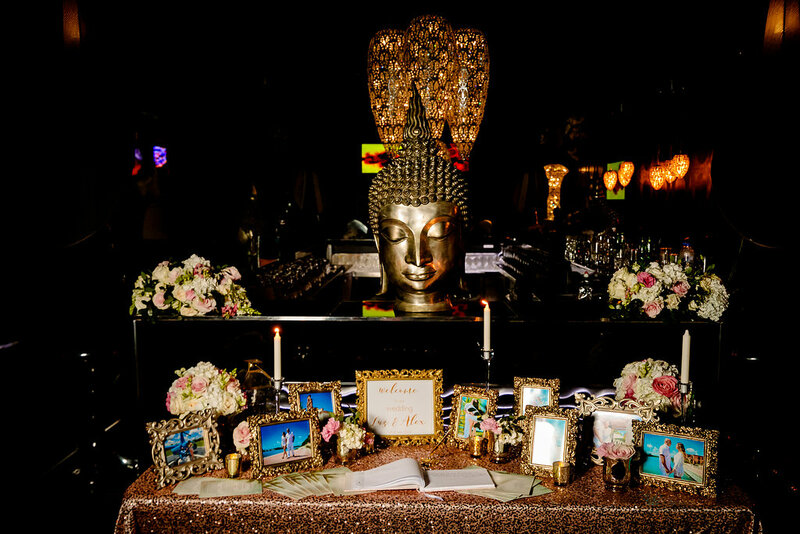 It was one of the most beautiful weddings of the year in the Dominican Republic. 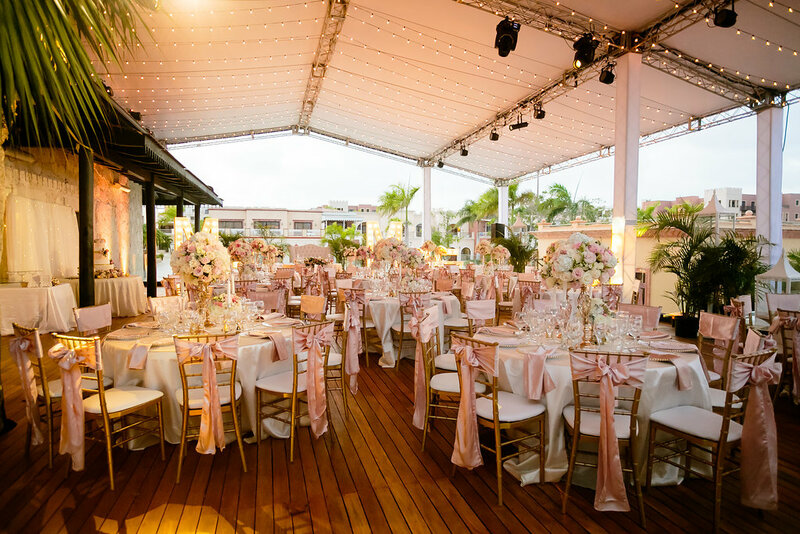 The preparation of the restaurant was started by our team the day before the wedding – the tent, additional lighting, LED panel and a stage for the artists near the dance floor were installed on the outdoor terrace. 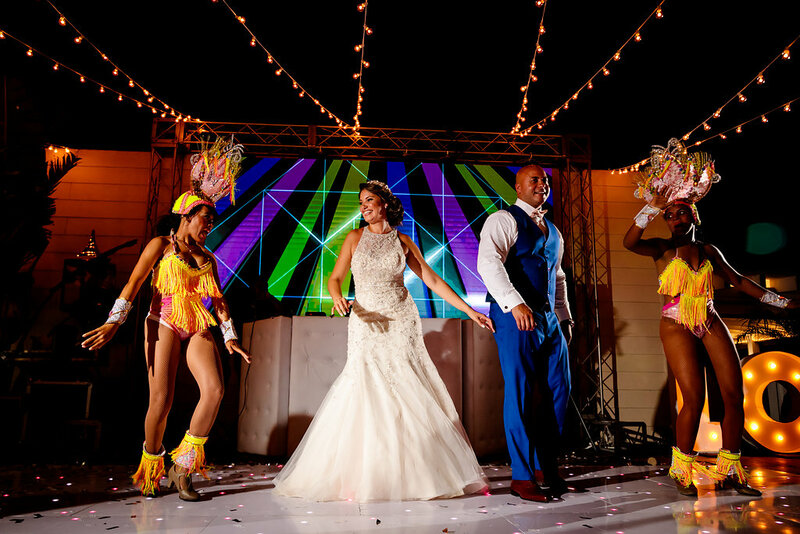 The reception and show program were held in a awesome club Versus with a beautiful view of the port of Cap Cana. 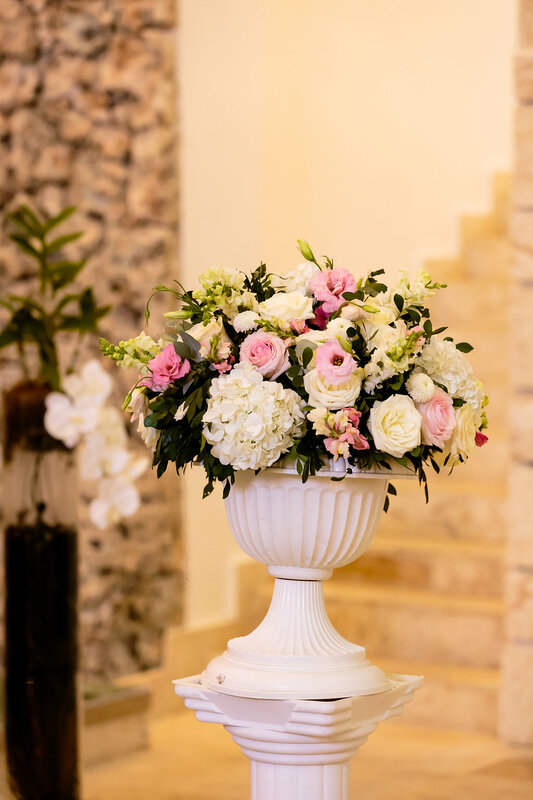 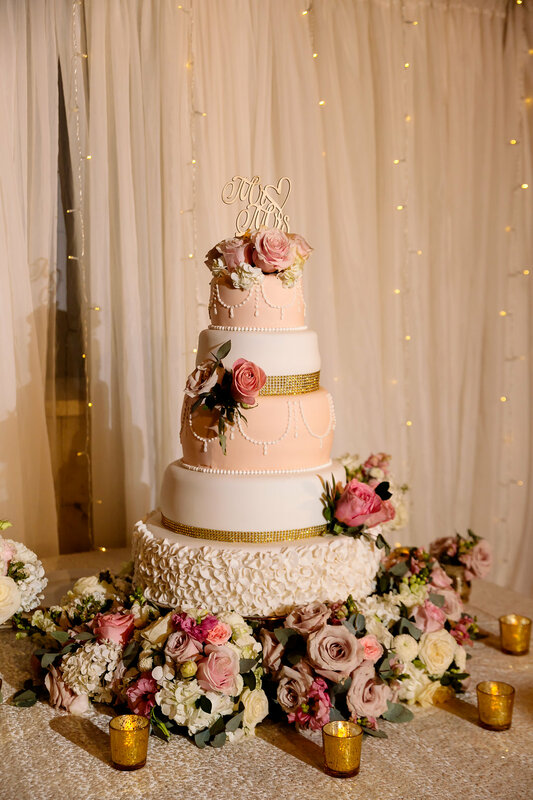 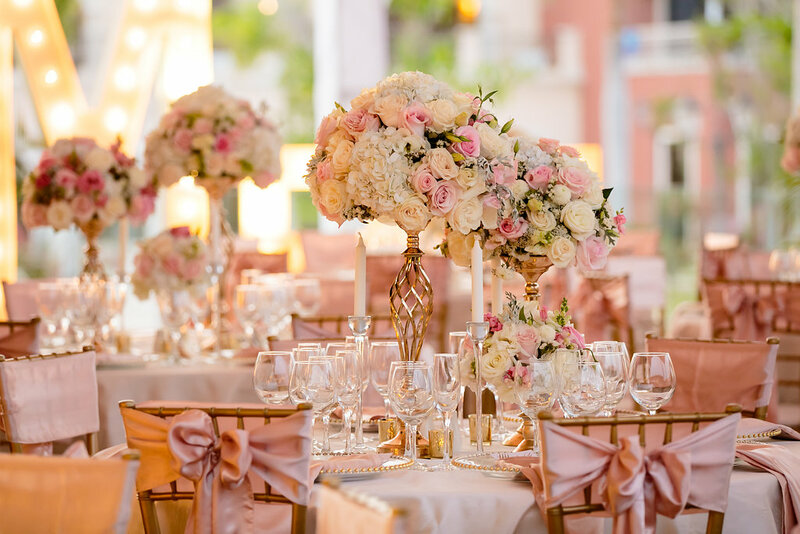 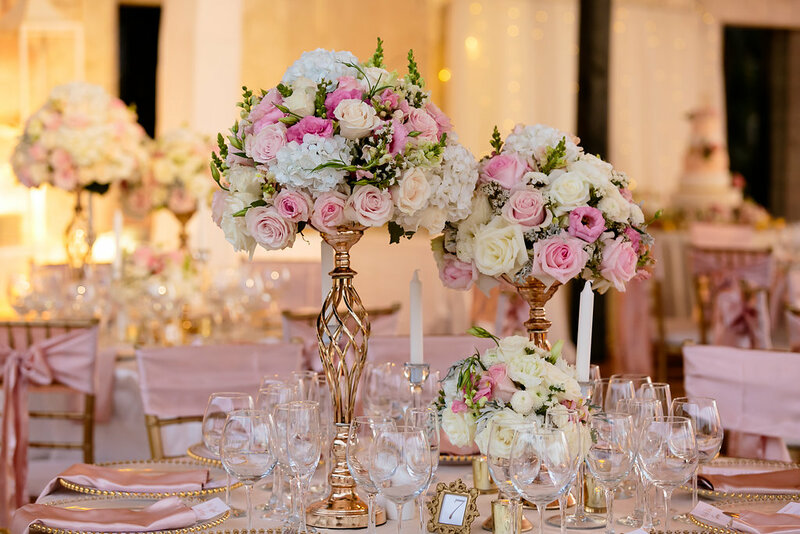 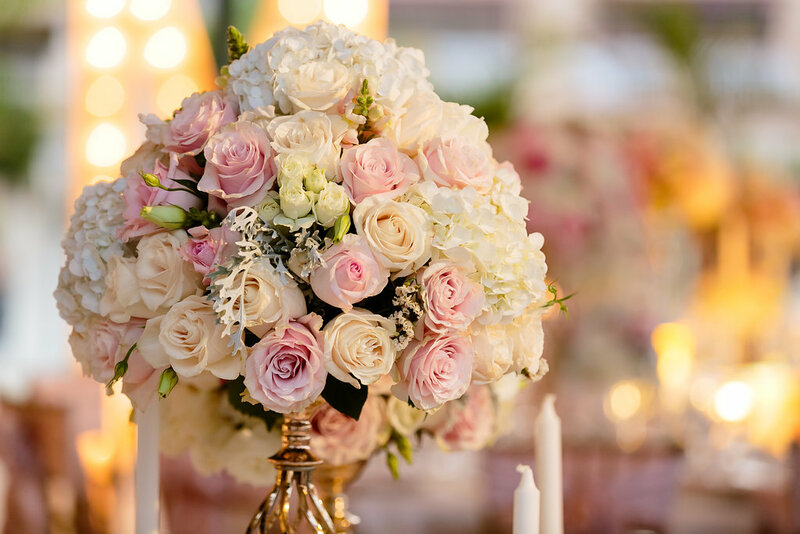 Golden and powder accents in the decor perfectly set off the tenderness of floral compositions, over which the florist team worked. 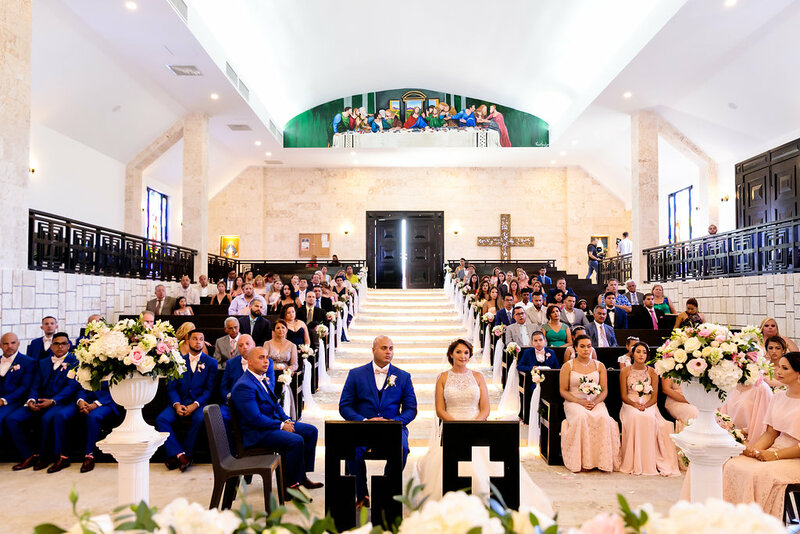 After the Catholic ceremony at the Jesús Buen Pastor church, all the guests went to Cap Cana, where cocktail tables and a bar were set in the amphitheater. 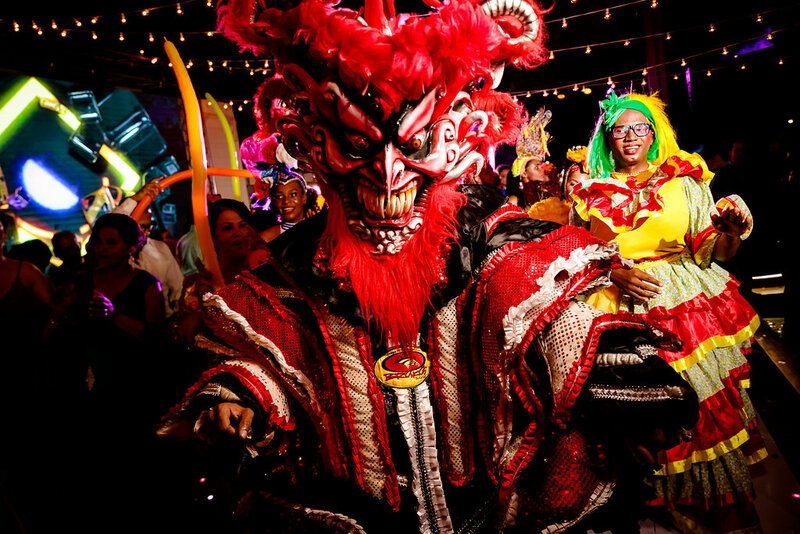 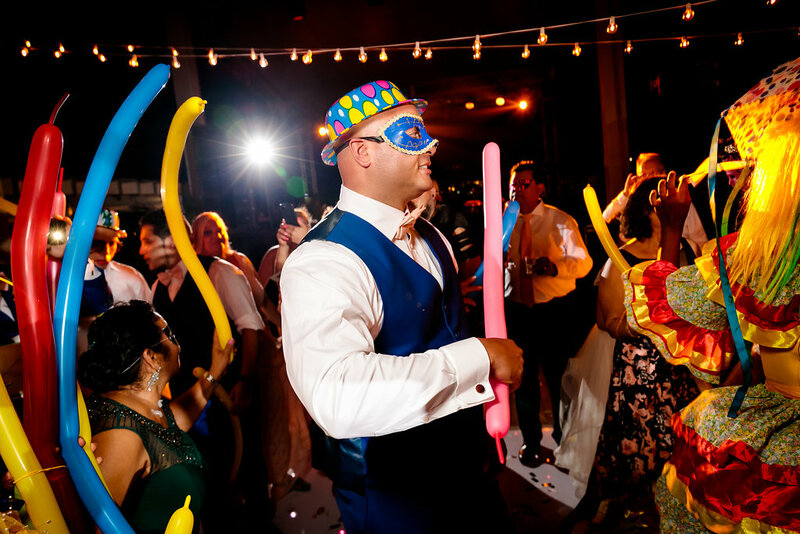 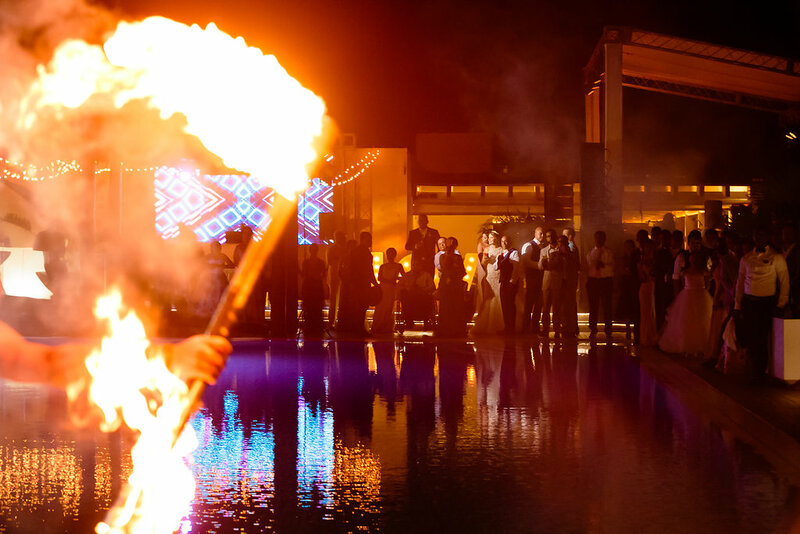 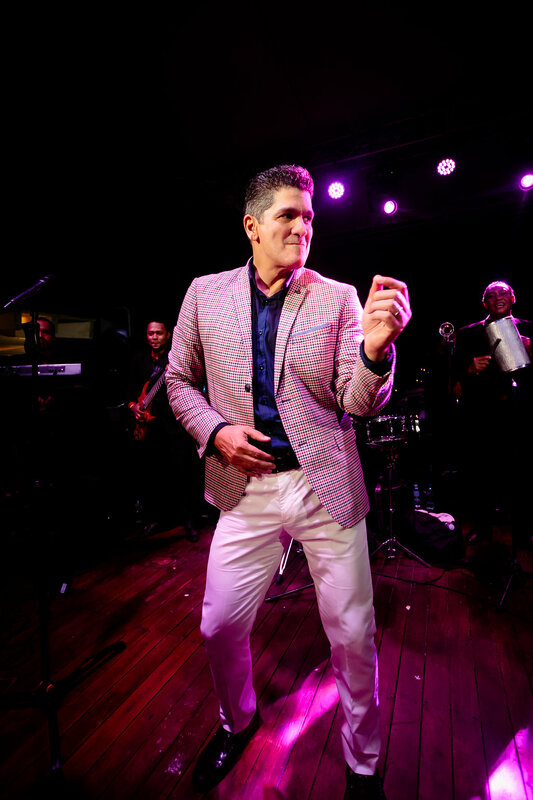 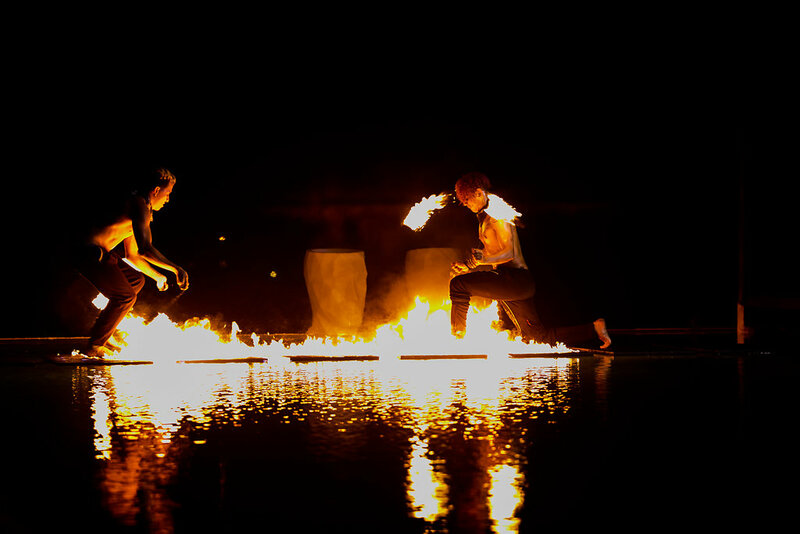 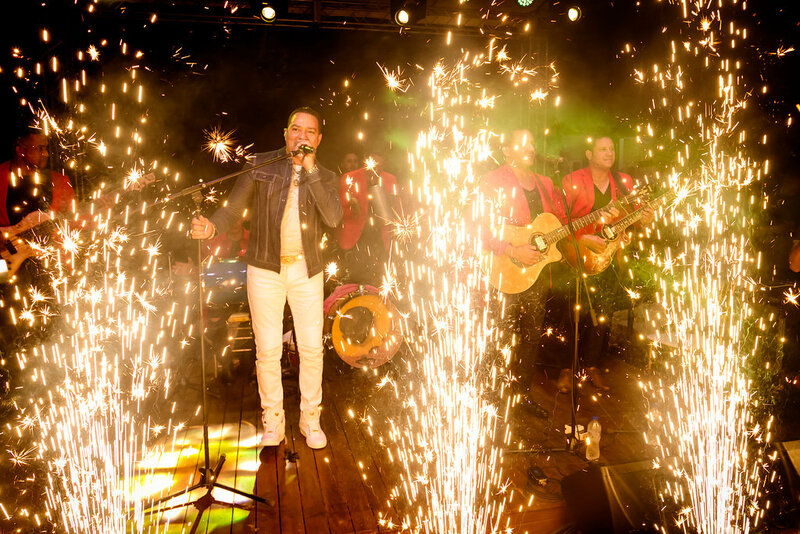 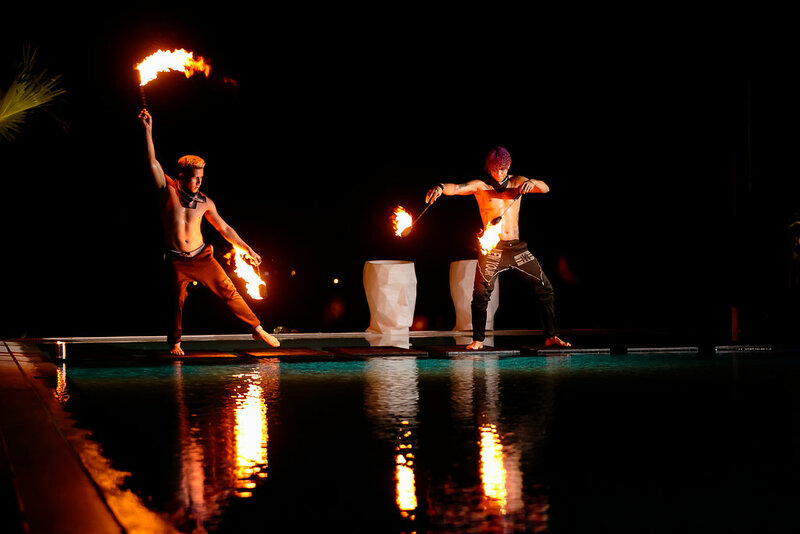 After dinner, a cigar bar was provided to guests, and for their entertainment – a fire show and a Dominican mini carnival. 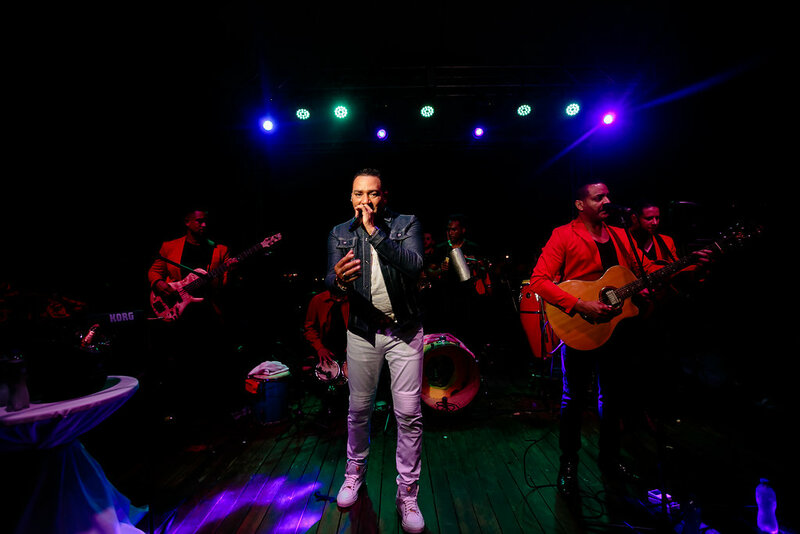 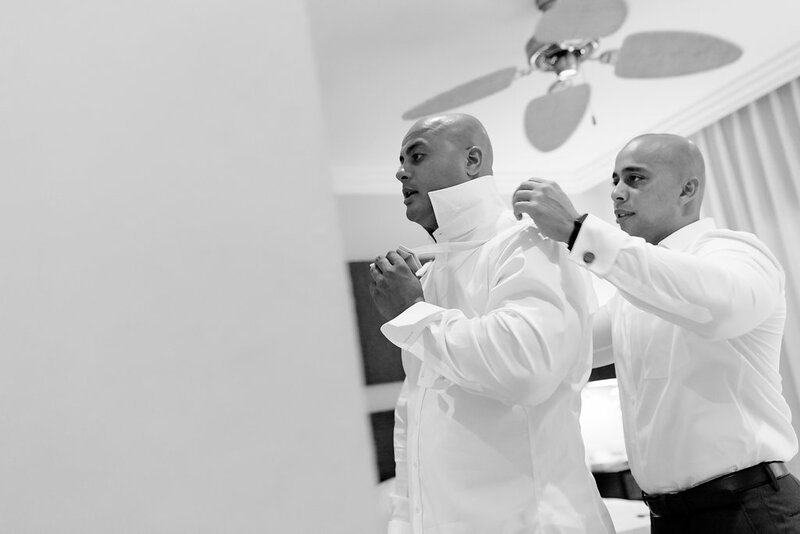 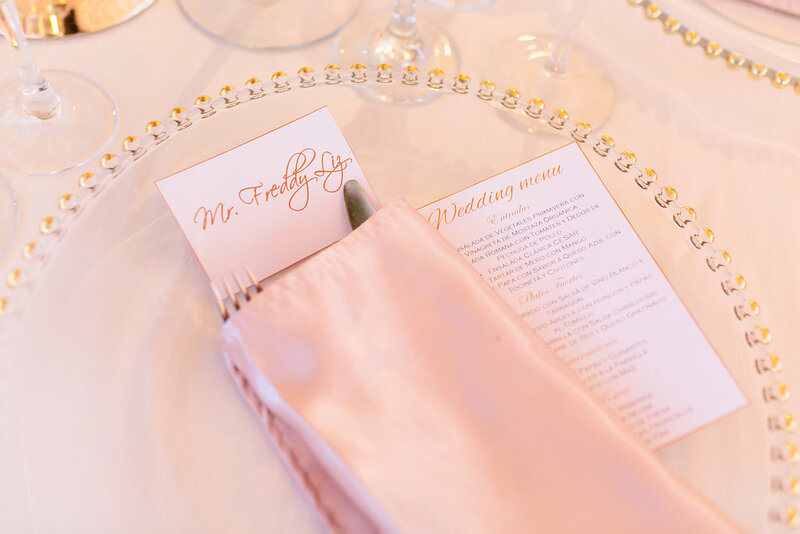 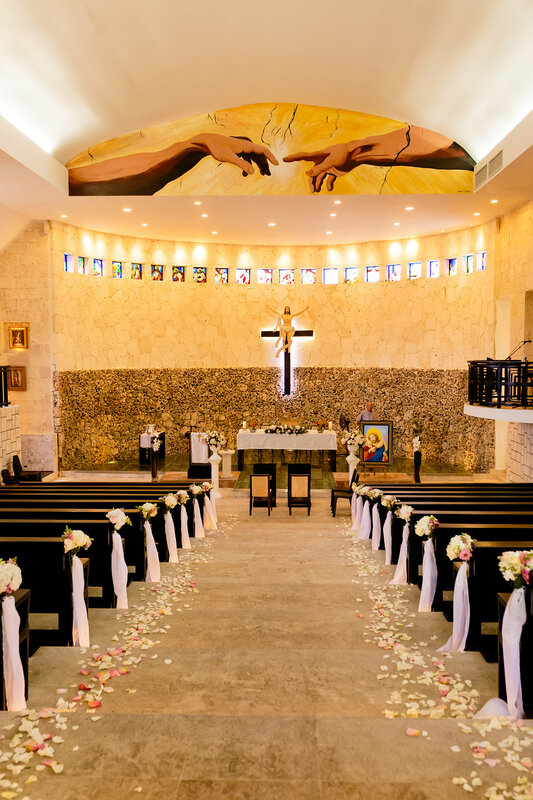 Especially for this wedding were invited famous artists – Eddie Herrera and Frank Reyes. 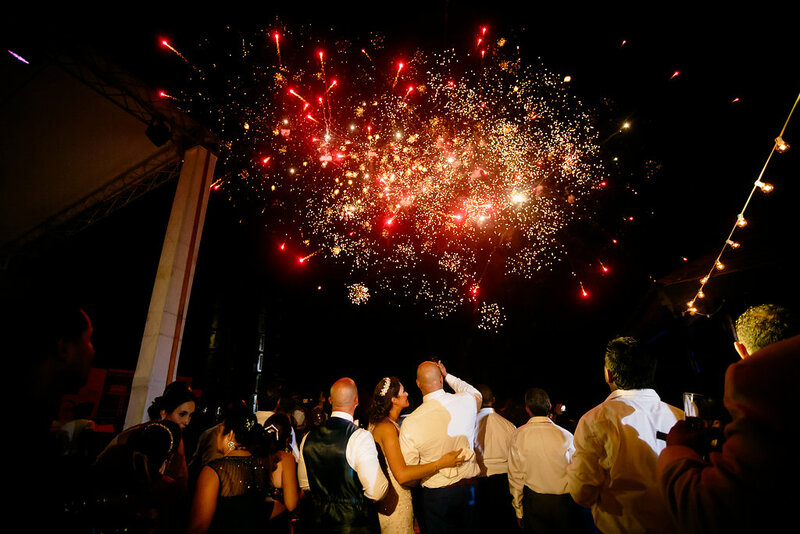 The spectacular end of the evening was a beautiful fireworks above the water, which guests could watch right from the Versus club!